Two hours of music and conversation from a faith and ethical perspective, taking the week's events to task and asking what they say about values and beliefs. Dame Stephanie "Steve" Shirley, arrived in Britain at the age of 5, on one of the Kinder transport trains which brought refugee children to London to escape the Nazis. Despite this incredibly difficult beginning she found a loving family and great success in Britain. The entrepreneur and philanthropist shares stories about her life and career. Although many of us will have experienced loneliness, there's still some shame in admitting it. It has now hit the headlines, being labelled a crisis which causes great physiological and physical suffering. Poet and theologian Pádraig Ó'Tuama and writer Olivia Laing join Cathy to talk through the nature of loneliness and the impact that it has. 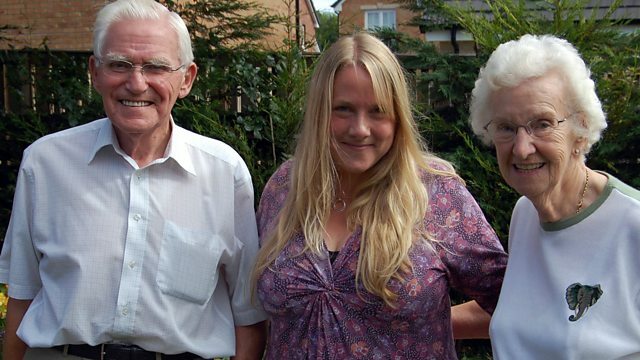 In this week's 'The Listening Project' granddaughter Alison quizzes her grandparents Sheila and Tom about what has kept them together for more than 6 decades. And another granddaughter remembers her icon of a grandfather. Coming up to the first anniversary of his death, Nandi Mandela shares personal memories of her grandfather Nelson Mandela with reporter Carol Purcell. Plus poet, author and president of the International Zen Therapy Institute, Dr David Brazier, tells Cathy why Buddhism and mindfulness are as important in 21st century Britain as they were thousands of years ago.